Results of a microgrid survey released today by Microgrid Knowledge show Siemens to be the most recognized name in microgrids among 21 companies. The independent survey also found electric reliability to be the biggest reason for installing a microgrid. Financing serves as the biggest hindrance. We conducted the online poll over the spring and summer to gauge reader perception about the microgrid landscape and its players, markets, and policies. 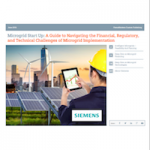 Learn the latest on microgrids. Meet the top players. Join us at Microgrid 2018, May 7-9, Chicago. The responses, 244 in all, came from microgrid developers, utilities, large energy customers, policymakers, regulators, investors and others. We asked 32 questions. Answers fit with common industry themes in some ways, but in others revealed surprises. For example, cybersecurity may be in the news a lot. But hackers apparently are not troubling enough to significantly drive microgrid adoption. In fact, cybersecurity was the second to last reason cited for installing a microgrid. 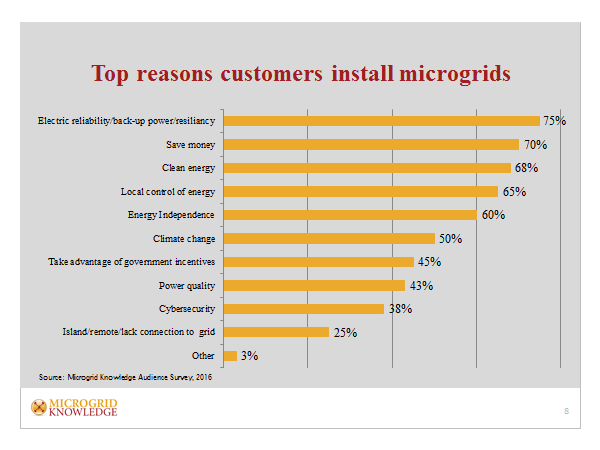 Instead, the microgrid survey found electric reliability to be the number one reason customers install microgrids. Superstorm Sandy – and the power outages it created in the densely populated Northeast – spurred today’s microgrid movement. Four years later the storm seems unforgotten. Saving money came in close behind electric reliability as a motivator for microgrids. This fits in with a newer industry emphasis on advanced microgrid controllers. These ‘brains’ of the microgrid save money by efficiently managing microgrid resources, interacting with the grid, and leveraging energy pricing. The microgrid survey also revealed an industry that both embraces utility participation and worries about utility participation. 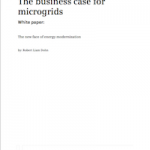 A whopping 79 percent of respondents said that utilities should be allowed to develop, own and operate microgrids. Yet a separate question placed utilities as the second biggest hindrance to microgrid development. And the greatest competition to microgrids — the reason they are unlikely to be built — occurs when utilities make alternative infrastructure choices. More specifically, utilities may choose to make upgrades to their distribution systems where a microgrid solution would do. That was the top answer to the survey question: What do you see as the biggest competitor to microgrids? It’s not surprising that the utility-microgrid relationship isn’t all roses. Controversy has emerged in some states, among them Maryland and Pennsylvania, about the fairness of allowing utilities to compete against independent companies. The argument goes that utilities have a guaranteed rate of return, independent companies do not. For good or bad, the industry clearly sees utilities as a powerful force. Utility rates, for example, topped the list of policy influences on microgrids, along with state incentives/financing/grants. The utility findings reflect confusion that exists in the microgrid industry at this juncture about where and how utilities will play – and the need for policy and regulatory clarity. What’s not an issue? Technology. Microgrids are just beginning to emerge in the marketplace, but appear to be working just fine. Only 10 percent named technology as a hindrance to microgrid growth. We also asked readers to tell us what brand they most associate with microgrids. Siemens topped the list. Schneider was second and ABB third. Employee-owned S&C Electric stood out as a relatively small company among giants in the top five. The Chicago-based company has about 3,000 employees. By comparison, the other companies in the top five employ from 135,000 to 350,000 workers. In addition, the other four companies are publicly traded, while S&C is privately held. 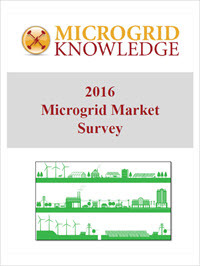 For the ranking of all 21 companies – as well as charts and results from our other questions – download the report – Microgrid Knowledge Survey Results 2016. The Microgrid Knowledge survey was conducted independently by our team with no financial sponsorship from outside sources.